Stuffed Cheesy Garlic Artichokes are a tradition in my family. And we don’t wait for the holidays to make them, we make them as much as we can! I got tired of waiting for the holidays to have these artichokes because they are so darn good. Apparently they’re pretty addicting to the rest of my family too because now we make them as much as we can. We love all kinds of artichoke recipes – for appetizers like these Fried Artichoke Hearts or for dinner like in this Skillet Shrimp and Artichoke Pasta. 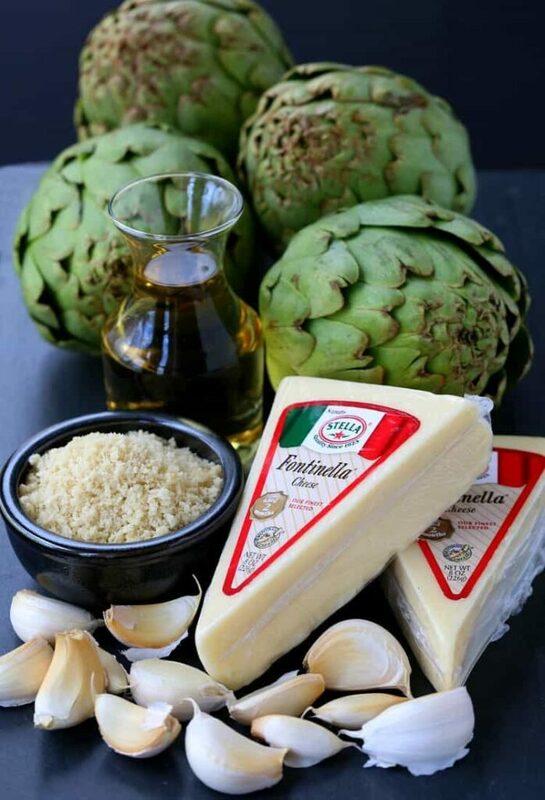 Get a few simple ingredients together…cheese, garlic, wine, breadcrumbs and of course, the artichokes. The best part in my opinion about these Stuffed Cheesy Garlic Artichokes is obviously the cheese. So get in there and stuff as much cheese and the garlic into the center of each artichoke, as much as you like – and we like a lot. 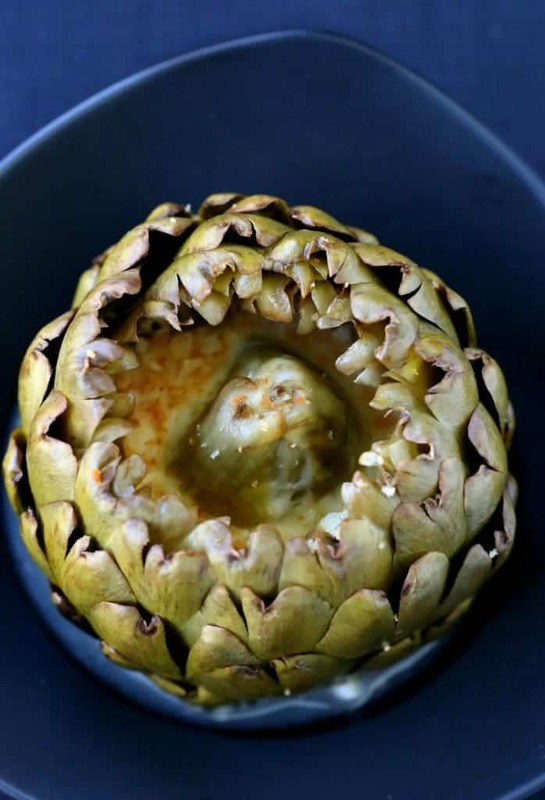 You can cut back on the cheese if you want to keep this stuffed artichoke recipe on the lighter side. Or if you’re following a low carb diet you can eliminate the bread crumbs and it’s still going to taste amazing. Simple, easy ingredients cooked over low heat to make the most amazing flavor combination ever. 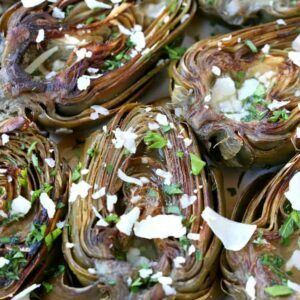 This artichoke recipe is so versatile that we even make one artichoke without the cheese for my older son. He doesn’t like melted cheese. We don’t think he belongs to us, but it’s still really delicious. Get in there and pull apart the artichoke leaves so there’s plenty of room for stuffing. I know there are a lot of recipes that call for scraping out the choke first, but you really don’t have to. Once the artichokes are steamed you can easily cut it off the heart if you’re going to eat it. 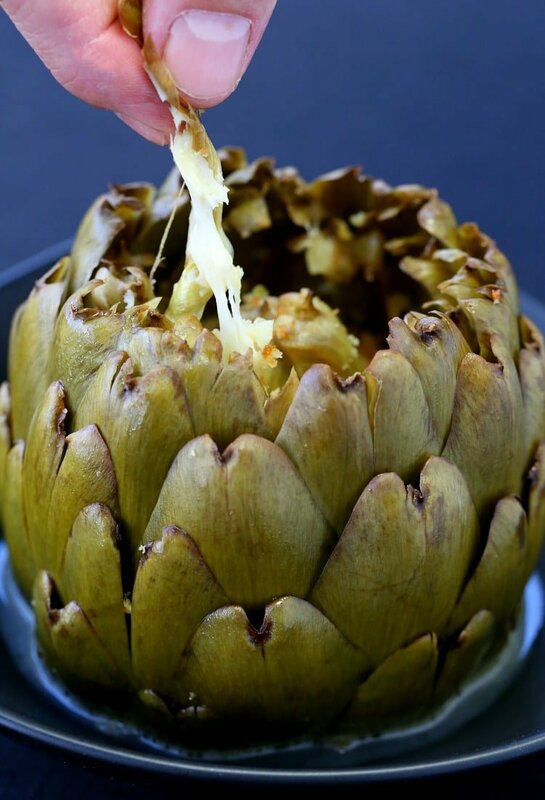 After you get all the cheese and garlic stuffed inside your artichokes, get them in a pot and fill it up about half way with water. Add wine and a bay leaf, cover and cook for an hour to an hour and a half, depending on the size of your artichokes. Then get ready to be amazed. Top with crispy, buttery breadcrumbs – just a little – then serve. This stuffed artichoke recipe is so good, I bet you’ll be making them one of your family traditions too! 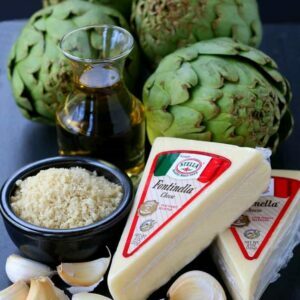 Our kids love pulling the leaves one by one and getting all that cheese and garlic and delicious steamed artichoke flavor. Adding wine in the water that you steam the artichokes in doesn’t hurt either. 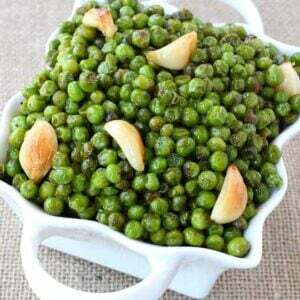 Simply and unbelievable flavor and such an easy vegetable side dish to make for dinner or any holiday! These stuffed artichokes are filled with cheese and garlic with just a few bread crumbs sprinkled on top. 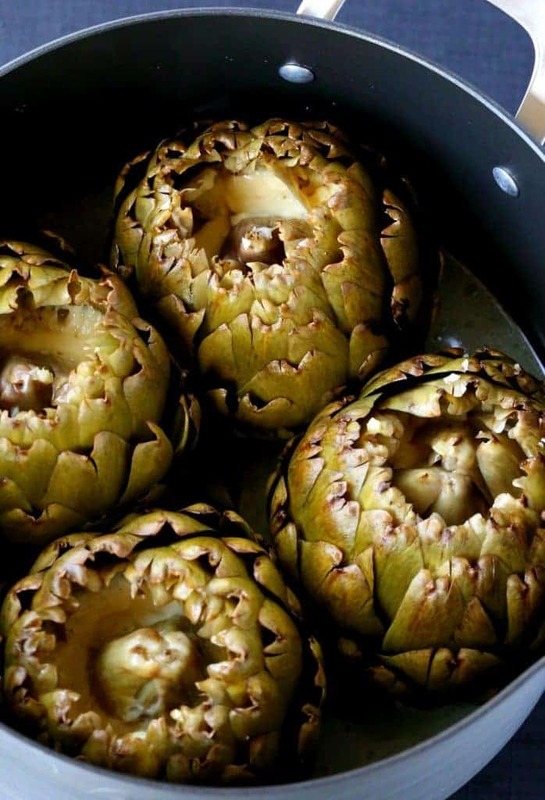 They get steamed in water wine and a bay leaf for the ultimate artichoke flavor! Trim the stems of the artichokes. Holding the artichokes upside down, smash them down on a cutting board to open them up. Stuff the center of each artichoke with some of the garlic and cheese, dividing the ingredients between the 4 artichokes. Place them in a large pot, big enough to hold them all and fill half way with water. Drizzle olive oil over the top pf the artichokes and season with salt and pepper. 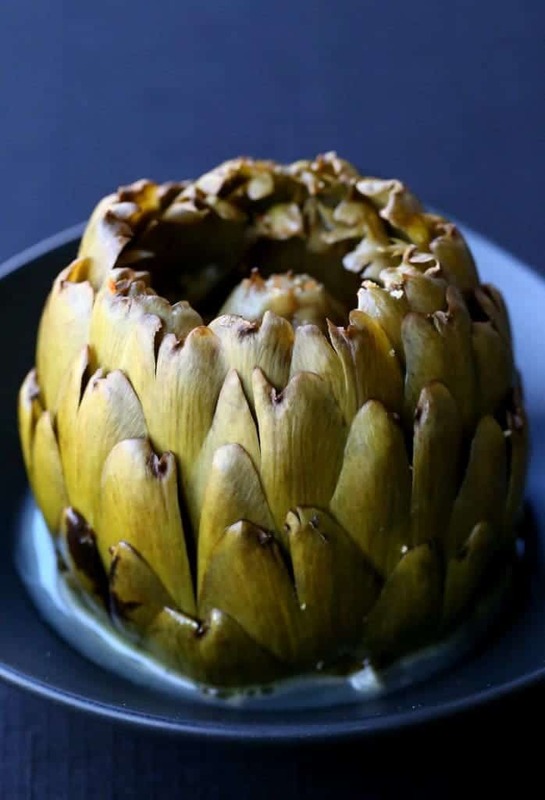 Reduce the heat to a simmer, vent the lid slightly off the pot and cook for 1 hour to 1 1/2 depending on the size of your artichokes. You’ll know when they’re done when a leaf pulls out easily and is tender. While the artichokes are cooking, heat the butter in a skillet then add the panko breadcrumbs. Toss until lightly toasted then remove from the pan. 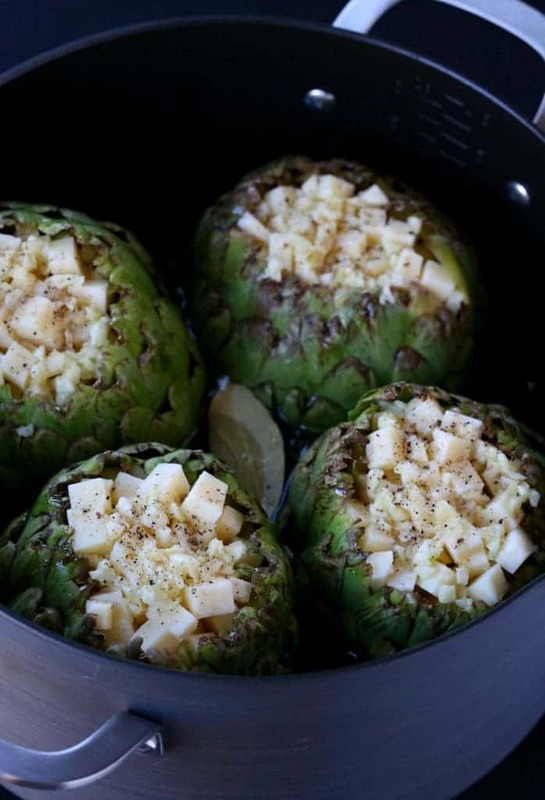 Sprinkle the tops of the artichokes with the breadcrumbs and serve. *You can substitute provolone or parmesan cheese if you can find fontinella. 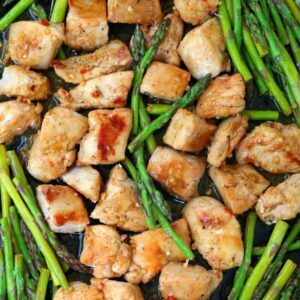 One of the best recipes if you care about your health. Thanks .